How can we help? 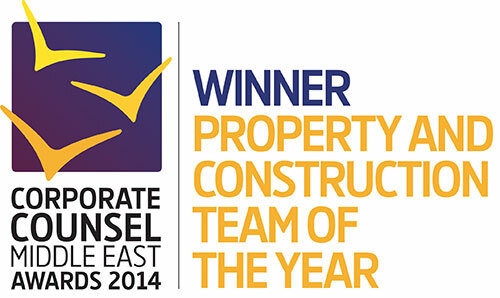 Why work with us? What people say about us? Jordan’s impressive economic growth over the last ten years – in addition to Jordan’s stable political and security environment during recent regional turmoil – has cemented its role as a hub for investment and entrepreneurship. The lawyers in our Amman office offer you the best possible guidance on this environment with in-depth experience of national law in the field of business and commerce. 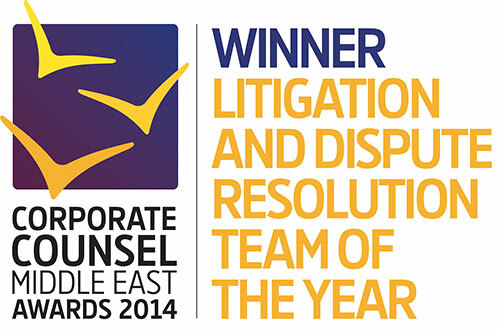 Located in Amman, Sanad Law Group in association with Eversheds Sutherland, has been operating since 2004. With our Managing Partner Tawfiq Tabbaa and partners Nadim Kayyali, Ghaleb Al-Faraj, Lana Habash and Iyad Zawaideh, the Amman office team represents a diverse range of clients, from large multi-national and regional corporations to small and medium businesses, investors and entrepreneurs. The Amman office benefits from being part of the Eversheds Sutherland international network, enabling it to offer a seamless cross-border service on multi-jurisdictional matters. Committed locally, connected globally: our team members are locally and internationally trained and qualified. We have experience in Jordanian, UK, US and international law and our combined linguistic skills includes Arabic, English and French. Global reach: Sanad Law Group in association with Eversheds Sutherland is seamlessly integrated into our regional offices which include Baghdad, Erbil, Dubai, Abu Dhabi, Doha and Riyadh as well as over 61 other offices across the globe. Sector knowledge: we have extensive experience in energy and natural resources, real estate and construction, banking and finance, leisure and consumer, telecommunications and technology, health and life sciences and diversified industrials. Corporate transactions: our Corporate practice continues to grow and we continue to provide solid support and be involved in prominent and innovative deals, including M&A, spin-offs and divestments, corporate JVs and other forms of corporate restructuring. Projects: we are advising on some of the most prominent solar and wind power and conventional energy projects in Jordan. We have advised the private sector (foreign and local investors) and the public sector in various projects. We have extensive experience in projects funded by the most active international financial institutions in Jordan. Our Project and Infrastructure Finance group is a major player in the projects field. We advise a wide range of public and private sector bodies (including funders) on projects worth billions. Eversheds Sutherland has acted on over 300 Public Private Partnership (PPP) projects around the world, meaning we understand the commercial positions of all the stakeholders in a project and the complexities of structuring a financing package in the MENA region, and are experienced at structuring complex projects in emerging markets. Start-ups and SMEs: we have extensive experience of supporting and advising start-ups and SMEs. This includes advising on the full range of commercial and corporate issues, including matching investment opportunities with investors and advising on and structuring deals. Regulatory specialists: we have a dedicated team which has co-operated with government agencies and private sector companies, associations and lobby groups to introduce wide-reaching economic and regulatory reforms. These include advising on the creation of a development zone, and developing laws in relation to the environment, inspection, companies, property, data protection, credit information and bankruptcy, as well as working on the restructuring of Free Zones Corporation and Jordan Industrial Estates Corporation. We have well established, trusted relationships with government advisors and officials, so are able to provide clear and concise solutions that meets your clients’ needs. Litigation: we advise on litigation, dispute resolution and arbitration. We ensure we are at the forefront of developments in the industry, and were key sponsor for inaugural IBA Conference on Dispute Resolution in the Arab Region. We also have a strong arbitration focus, acting for a wide range of international companies in high value and complex arbitrations. 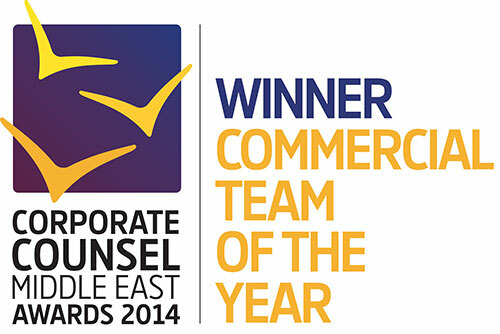 We are recent winners of the Corporate Counsel Middle East Awards 2014; Commercial team of the year, Litigation and Dispute Resolution team of the year and Property and Construction team of the year.